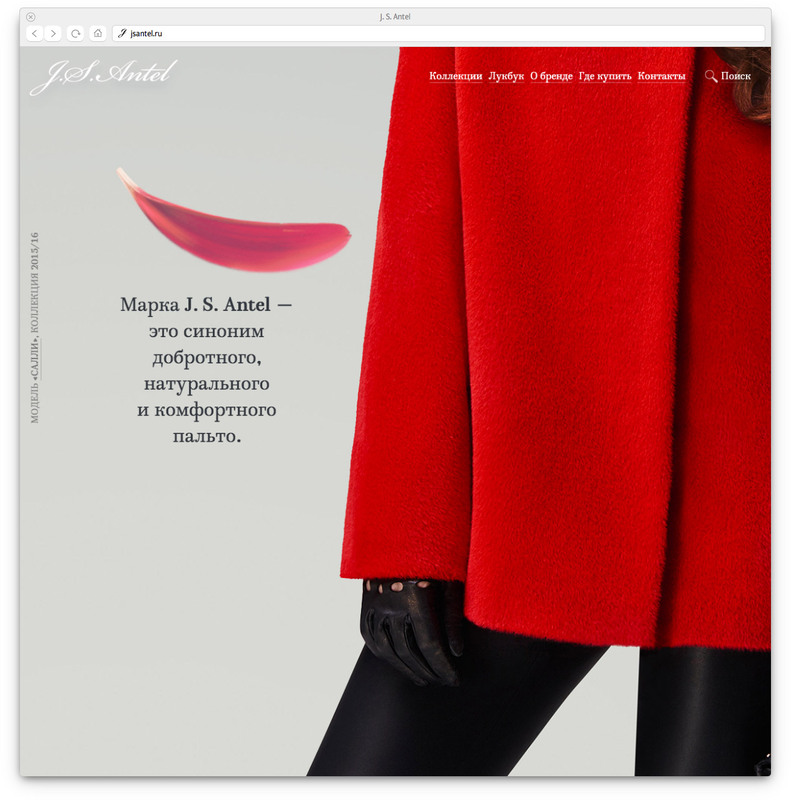 Task: to create a website for a manufacturer of women’s clothing. J.S. 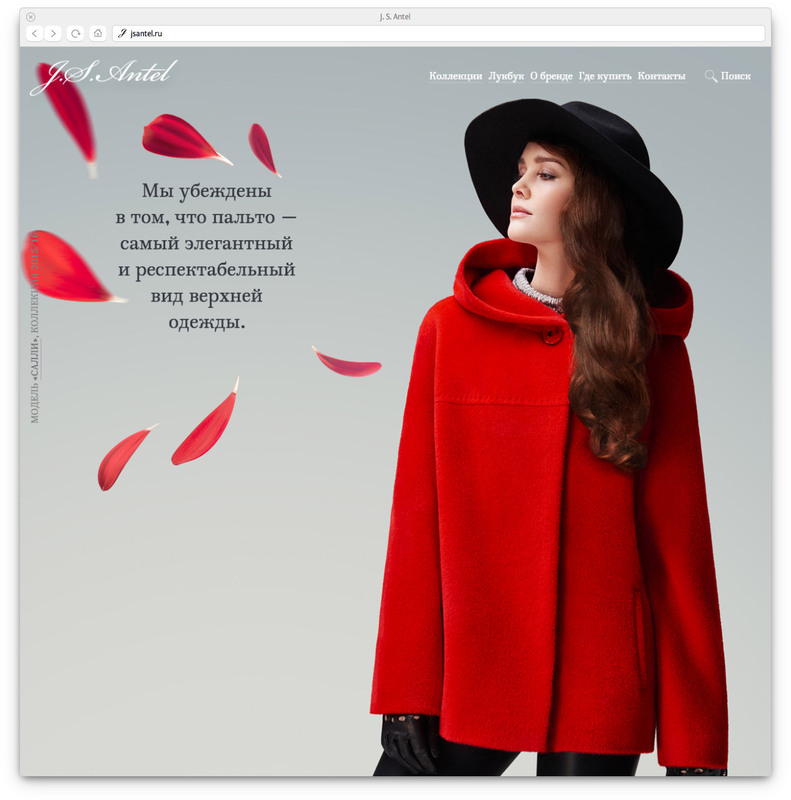 Antel produces winter and mid-weight coats for women. 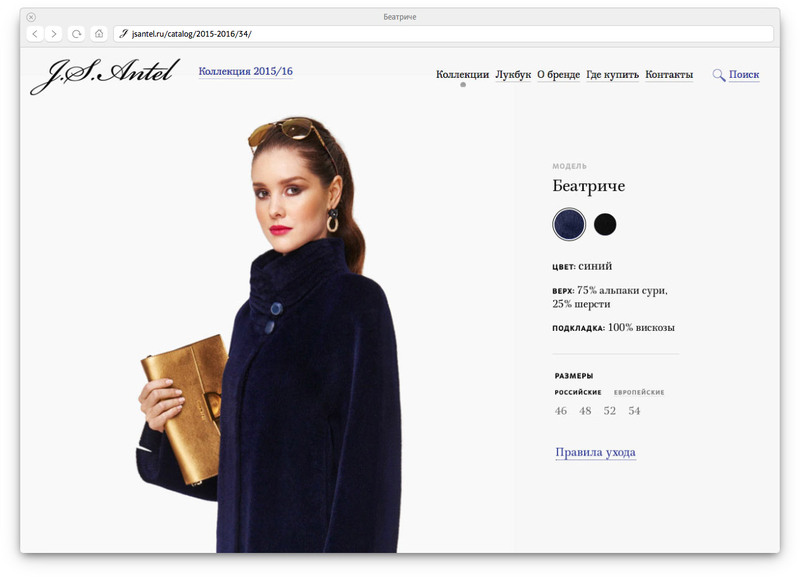 The website created at the studio highlights unique features of the company’s products: quality materials, reliable fittings, neat seams and the beauty of the designs. The catalog contains photographs of all coats, while most popular designs appear in the lookbook. Each product card demonstrates the coat from different sides and allows to switch colors, read brief description and care tips.